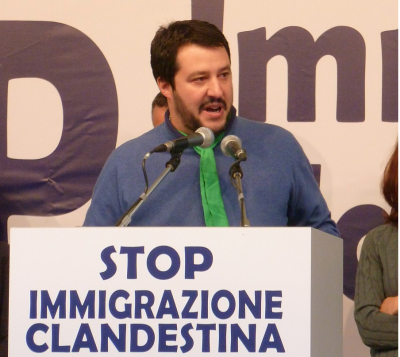 ROME - Italy’s senate Wednesday voted to stop a criminal case being brought against deputy prime minister Matteo Salvini, after he blocked migrants from disembarking onto Italian soil. The move comes after Salvini refused to allow 177 migrants, amongst which around 30 minors, aboard the Diciotti ship to disembark onto Italian soil for almost a week. Salvini was consequently placed under investigation by Sicilian prosecutors for “illegal confinement, illegal arrest and abuse of power”. However, the investigation can now not lead to any criminal charges against Salvini as the Senate blocked any case against him. 232 senators voted to stop any criminal proceedings, a number substantially larger than the majority of 160 votes required. The 5 Star Movement said after the vote that the “Government had acted in the interest of the state”. Salvini, who believes that Italy takes over its fair share of migrants amongst European nations, has previously closed Italian waters to rescue ships, most of which represent various international NGOs, leaving migrants stranded at sea. Only a few hours before the decision was announced, Salvini was again at the heart of an immigration battle as Italian authorities impounded the Mare Ionio rescue ship after it disobeyed Libyan and Italian orders. While Salvini will not face a court case, criticism across Europe of his handling of the crisis continues to mount.